WOKING residents have been sharing memories of Rick Parfitt, the rock superstar from Sheerwater who died on Christmas Eve. 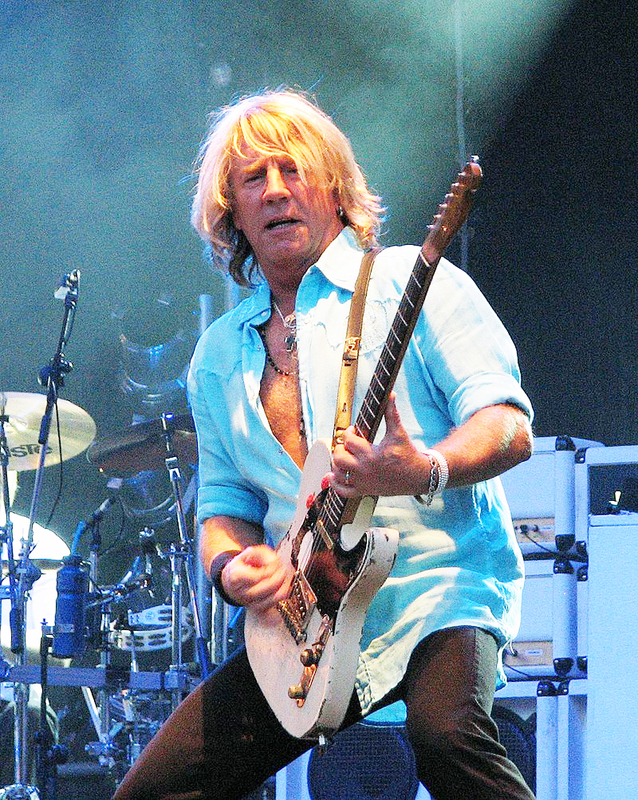 The Status Quo guitarist passed away in a Spanish hospital after contracting a severe infection. One local person shocked to hear the news was Denise Edwards, who remembers working with Rick at a Woking garage in 1966. He was 17 years old and still waiting for his big break with his band which was then called Traffic Jam. The group changed its name to The Status Quo a year later, before dropping the ‘The’. Denise said in a BBC interview: “He was an apprentice mechanic and I was a receptionist in a garage in Woking. He was quite shy. “His father pushed him into doing something, and not to mess around with guitars. I remember paying him his weekly salary of £5! of his former neighbours remembers the Status Quo guitarist as a schoolboy and said he was ‘just one of the lads on the estate’. A 60-year-old Sheerwater man, who did not want to be named, said Rick was well liked in the community and used to drink in his local, The Birch & Pines pub, and that after Rick became a famous rock star, he used to return to Sheerwater in his Bentley to visit his mum Lil. In 2010, Rick and Quo partner Francis Rossi were awarded the OBE for their services to music. Rick had left Quo’s touring activities on medical advice after a number of health scares, including a heart attack. Before he was admitted to hospital on 22 December suffering complications from a shoulder injury, Rick, 68, was looking forward to launching a new solo career, with an album and autobiography planned for later this year. Richard John Parfitt was born on 12 October 1948. He once described his upbringing in Woking as ‘wonderful’ and his childhood self as a ‘typical naughty boy’.